Thank you to all the people that supported these charity performances. A total of £1,300 was raised over the two evenings. Steinbeck′s own version of this classic novel tells the story of George and Lenny, the farmhand and the simple giant who accompanies him on a life of casual labour in the California agricultural belt in the 1930s. They share a dream of a little place of their own where Lenny can tend the rabbits and they can live of the fat of the land. But when Lenny Unwittingly kills the young wife of a farm owners son, George must shatter their dreams to keep Lenny from falling in the hands of the law. Auditions will be held on Monday 1st April at the theatre at 7.30pm. 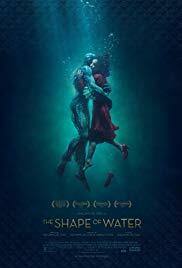 From master storyteller Guillermo del Toro comes THE SHAPE OF WATER, an otherworldly fable set against the backdrop of Cold War era America circa 1962. In the hidden high-security government laboratory where she works, lonely Elisa (Sally Hawkins) is trapped in a life of isolation. Elisa's life is changed forever when she and co-worker Zelda (Octavia Spencer) discover a secret classified experiment.